What do you do when you want to shout to the rooftop, no, to the heavens that a former student has now climbed to the upper reaches of the earth’s atmosphere…okay, so I exaggerate…to Mt. Kilimanjaro, the highest peak in Africa, with a group of friends and set a record? A week ago, she was nervously expressing last thoughts about this journey and the desire to fulfil a goal for the charity she represents, Reach Out to Asia in Qatar. 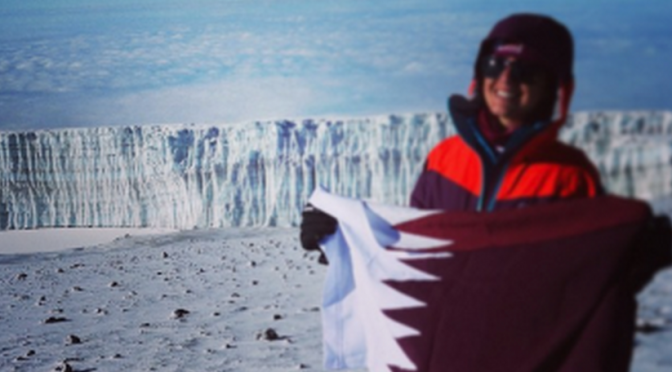 Now she’s become one of the first Qatari women to climb the popular, but nonetheless challenging, Kilimanjaro. Note: it’s a collective win. I like that. No one has shouted out: “Hey, everyone! I’m the first.” No. Implied in those words Qatari women is the we did it together chic. I love that. There are many lessons I could teach my current students based on my experiences with those young people I have taught or worked with the past. 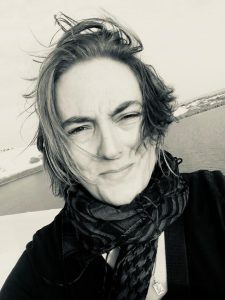 I met Dana Al Anzy three years ago when she engaged a colleague in a pie throw – whipped cream in the face – charitable project to raise money for one good cause or another. She whipped the entire student body into a frenzy, too, at Qatar Academy where the students and staff gathered around for a good laugh and fun after Dana announced the main reason for this mayhem: to raise money for a charity. I ran a community and service program for two years before embarking on a new adventure in the UK. Qatar Academy is the highest ranking school in Qatar, and part of the illustrious Qatar Foundation, a think tank – home of several world-class universities and well over 100 enterprises – dedicated to science and research, education and community development. I rave on about Qatar Foundation because it is rave-worthy. The young people there shared their unique blend of similarities and differences to other young people I have met and taught worldwide. The truth is, learning difficulties are real for most of us. We’re all loved and potentially disliked by someone. Life has its twists and turns and requires a certain amount of diplomacy that I enjoyed watching at play in Qatar. I enjoy a good political scene. Dana Al-Anzy was a student leader who had an important role to play in our school, and she became the leader of the Model United Nations Amnesty International group. This required diplomacy. And this girl had it and had the passion for human rights that drives possibly everything she does today. The culmination of our efforts that year resulted in two peace doves being released to symbolize the group’s commitment to peace in the rising swells of war in the region. And now Dana has climbed Kilimanjaro to raise money for the rebuilding of Palestinian homes. Think globally and act locally. This is a truism that makes sense for us all. We’ve moved ahead now out of my classroom to the world…this young woman speaks my language: watch. She talks of having a dream and of our need to watch the way in which we view the world. I think she’s so cool. I believe she is destined for leadership. And I imagine it is only a matter of time before she achieves her goal as a Qatari national. So, I’ve got to share her with my world, here, there, wherever you be. Watch this girl. She’s already making inroads with the First Lady of Qatar’s youth delegation to the United Nations. 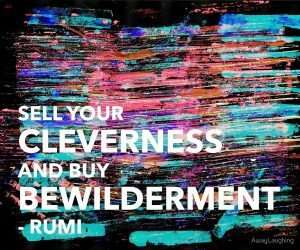 If there is one thing I wish, I wish that my disenfranchised (some of them…I teach in tough areas) and far less privileged students in England could see themselves in her, for we all have the potential to be great instead of bricking up our real selves for an illusion of popularity, or because we ‘can’t be bovvered’. We can all be bothered to make a contribution, and to make a difference where there is need. This is regardless of our circumstances. (I’ve seen amazing feats in the UK, too, of course.) This young woman reminds us: simply choose your cause and go for it. really enjoyed this LL- hope you are able to share this young role model with the youngsters you are working with now! Ah, thanks, Sarah! I have, indeed, shared her speeches with my current students.